Bree acts in her first play in this scary You’re Invited to a Creepover tale. Bree Hart has secretly wanted to act on stage for as long as she could remember—it’s all she ever thinks about. Determined to make her dream come true Bree tries out for this year’s school play, The Last Sleepover, and gets the starring role! After a few creepy incidents on set and persistent nightmares at home, Bree quickly learns that this is no ordinary school play. Is it stage fright? Or is the play haunted? 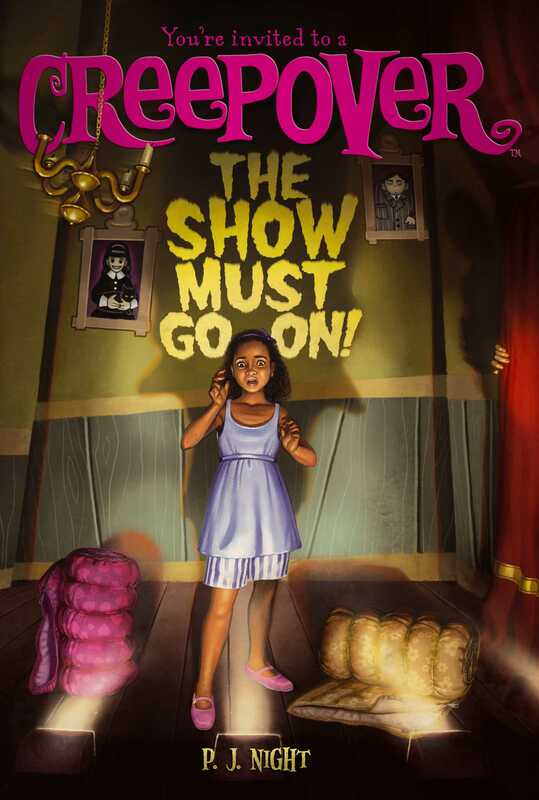 Book Cover Image (jpg): The Show Must Go On!